I’ve never had the pleasure of covering a nationally televised event that’s almost in my backyard, so when I heard that Diageo was going to bring the Cuervo Games to Champaign, there was no way I was going to miss it. It was their first time having this event outside of a major city, and Chambana welcomed them with open arms – and bars. 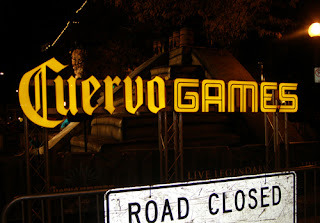 This was my first experience with the Cuervo Games, but I was escorted through it with Jenna Rathke, from Taylor PR, the representatives for Jose Cuervo. She made my trek a bit easier with a Tanqueray and tonic (Tanqueray is a sister company of Cuervo so it was one of the offerings along with the Margaritas) and we navigated our way through the apparatus. The Cuervo Games consist of a series of athletic challenges with a tequila twist. First, players compete against each other on the Barrel Roll, climbing the Mayan Pyramid to capture the flags. Next is the Waterfall Climb, a 20-foot rock climbing wall that has a rushing water twist. Then it’s on to the Highwire Harvest where trapeze skills are tested at 30-foot as the contestants try to grab as much agave (the plant tequila comes from) as they can. Finally, it’s Margarita Madness, where teams make and carry Margaritas on their head, try to land the limes in the cup and fill the bucket. 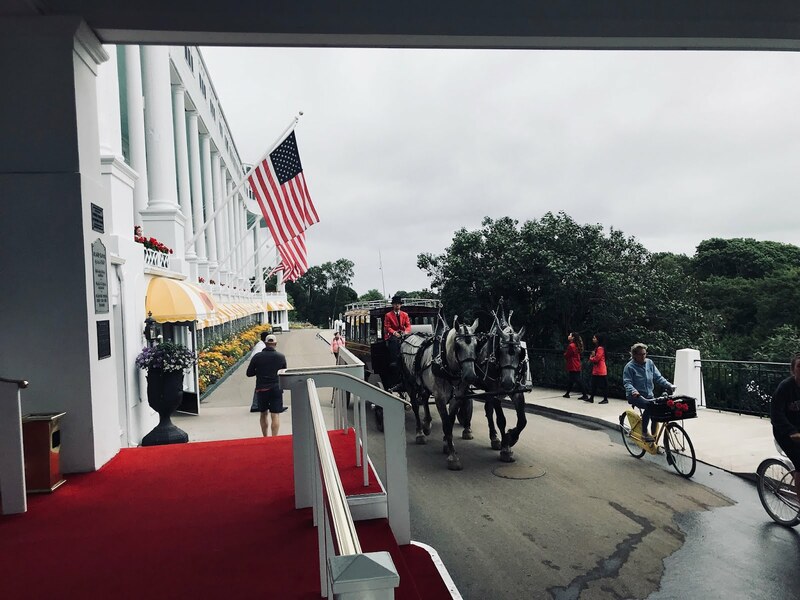 Throughout the day and evening players and guests enjoyed $5 Margarita’s, food vendors, free Cuervo gear and a complimentary concert, featuring performances by Z-Trip, The Delta Kings and PBS. 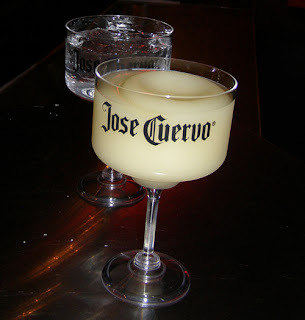 Local bars and restaurants offered Jose Cuervo specials and the wonderfully warm night had lots of people eating on the patios so they could be near the action. The streets of downtown were filled with spectators cheering on their favorite teams, watching the bikini-clad Cuervo girls and playing contests with host Mike Hernandez. 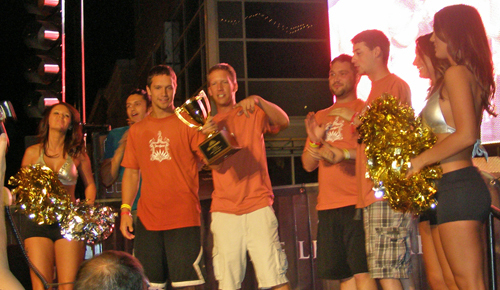 Fifty teams competed at the Games in downtown Champaign that started with teams from local businesses as well as Otto’s bar of DeKalb, the winner of a $2,500 donation to Hodgkin's Lymphoma (each team got to pick their own charity). 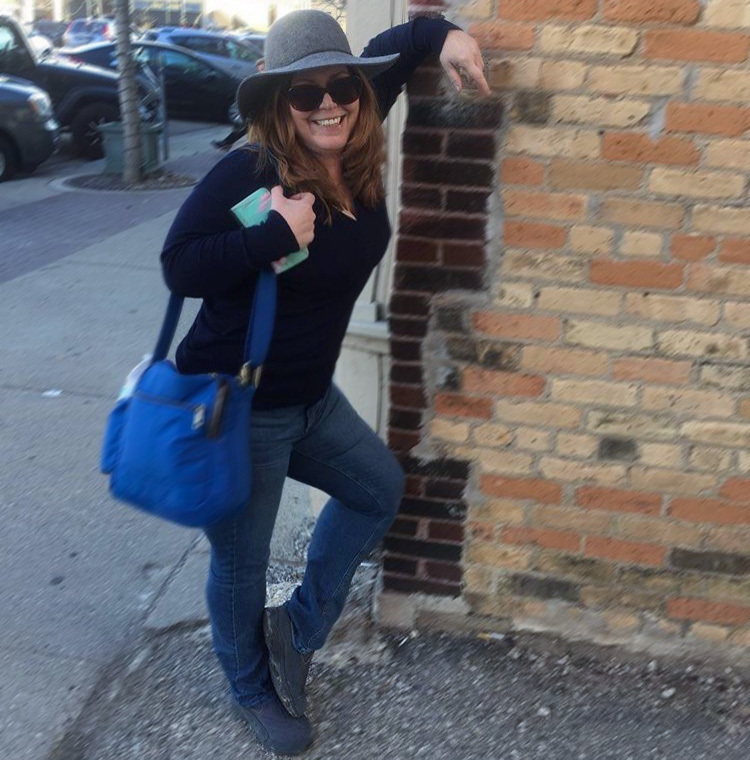 Local participants were Boltini, Cowboy Monkey, Country Market, Seven Saints, Jim Gould’s, Cakes on Walnut, Champaign Fire Department and Soma Ultralounge. I arrived in time to see the eight finalists in the main competition. It was down to only men (some of the teams had men and women) and they fought and tumbled their way through each section. It was hard to tell who was going to win because it looked pretty close, but it was the Pound Regulators who ended up on the podium. The next event will take place in West Palm Beach. 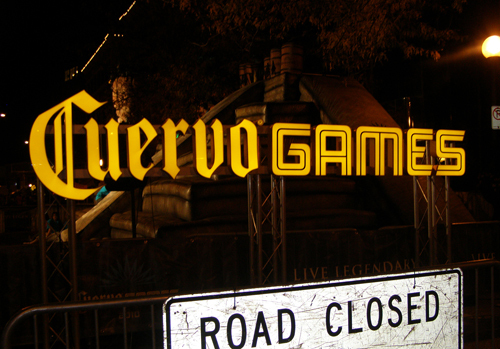 For more about the Cuervo Games, visit their official Facebook page.